1. What is the inspiration behind Mona Loves Gustav? Art is transformational, it has the power to express who and what you're about, without ever speaking. 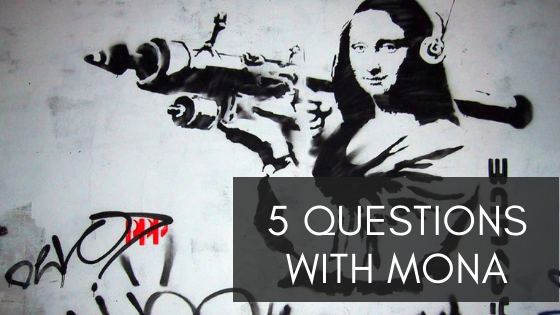 Mona Loves Gustav wants to change the way people discover and experience art. Art is embedded deep within our DNA. Since the time of cavemen, humans have sought ways to express who they are and what they stand for. Mona Loves Gustav uses one's "ArtDNA" to cut through the noise and present collections that speak to the most important aspect of art... does it speak to you. 3. What are some the misconceptions about collecting art? That you have to spend a fortune for good art. That spending a fortune guarantees you have good art. And that your ability to appreciate is somehow less than the art professional. 4. How does curated art enrich one's environment? Art is a visual narrative, a snapshot in time that conveys the who, what and when of our personal journeys. A single piece of art represents one moment, a collection your journey. Curation is simply the means in which you tell the story of you. 5. How do you select the artists you source your art from? After a decade of working in the art world, I've developed the instincts and networks of artists to source what I think will inspire, even awe, and will become a piece of someone's collection.